How do I Find the Toast Restaurant Dashboard? Toast is one of the leading POS solutions, and for good reason: With its easy-to-use interface, customizable features, comprehensive analytics, and multi-platform options, Toast is an entire management system that can go wherever your business – or day-to-day life – takes you. Let’s discover the pros and cons of partnering with toast, and find out the ways in which their inventory of tools can take your business to new heights! This link leads to a landing site for scheduling a free demo of the POS’s capabilities. Upon submitting the requested information, you’ll be contacted by one of the company’s representatives who will then initiate your test drive of the software. 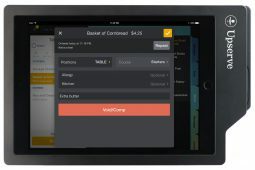 While some might wonder why Toast doesn’t allow immediate access to its demo and instead forces customers to interface with a sales agent, the motivation behind this is part of what makes Toast the toast of the POS market – all of their demos are custom-tailored to meet the prospective user’s needs and demonstrate Toast’s compatibility with their restaurant’s unique needs. Instead of providing clients with a rushed, “one-size-fits-all” experience, Toast takes its time to deliver concierge treatment that shows how much they value their customers. Once you bring your account to life, Toast will allow you to manage the information broadcasted from your webpage using the Toast Restaurant Dashboard. 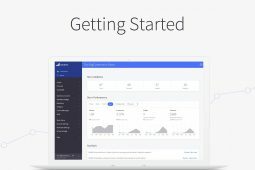 Since every toast account is different, different dashboards will offer control over different features and functionalities. However, all dashboards will allow their users to alter what is displayed on their webpage. This can include things such as opening hours, different menus, promotional offers, online delivery forms, contact information, links to other stores, and more! Though the Toast user interface is known for being streamlined and intuitive to navigate, beginning users may still have questions regarding how to access the POS’s restaurant dashboard. Fortunately, finding the entry to the dashboard takes little to no effort! Simply head over to the back-end for Toast administration, and click on the “Marketing” section to access and update your company’s Restaurant Info. If you own several restaurants, the option will appear for you to see the “View Location Picker” selection on the screen. Using this, you can choose which restaurant’s options you wish to modify, and customers can use it to discover which of your locations is most convenient for them. The dashboard’s many uses are really only limited by your ability to devise ways of employing them, and its tools provide a plethora of new ways by which to improve the way your business runs. However, one of its most popular functions is as a hub for reporting and analytics. Toast’s comprehensive overviews and reports give business owners the insights they need to create the most robust organization possible. Another amazing feature rendered upon owners by the dashboard is the ability to monitor their business from anywhere at anytime. 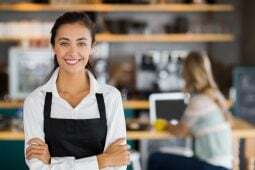 No longer need a restaurant owner be in the same building – or even on the same continent – to provide top-tier management to any of his or her establishments. Similarly, the dashboard can be leveraged to track both active and seasonal employees, guaranteeing that management can optimize their use of staff and personnel. It’s fitting that Upserve would have chosen to name themselves after a microcosm of toast – after all, they’re similar to Toast, but offer a significantly smaller amount of functions! See also our detailed Toast Vs Upserve Comparison here. One dimension in which Toast especially outshines Breadcrumb is in ease of back-end development. Breadcrumb’s database is clunky and cumbersome to negotiate, and their courses and categories are confusing. Compounding to the frustration is the fact that they presently neither allow users to archive multiple items simultaneously nor change prices and descriptions of multiple items at the same time. In contrast, Toast’s back-end development has been honed and refined to be simple and intuitive, with a heavy emphasis placed on the user interface. However, back-end development is not the only sphere in which Toast excels. For years, users have praised their ease of third-party integration, with apps such as GrabHub’s delivery service easily affixing themselves to users’ sites. The same, however, cannot be said about Breadcrumbs, and complaints about their rough and unpolished integration abilities abound throughout the internet. While subsequent upgrades and updates will probably resolve this issue, until they do, poor integration can leave your company out of the running for the customer pools that accompany popular apps and third party services. And simply put, why would you want to risk your company’s competitiveness when a service exists that has already mastered the art of playing well with others? While Breadcrumb’s entry-level rate of $65 a month may initially seem more attractive than Toast’s pricier $79 (as well as their $499 remote installation fee and their $899 hardware bundles), we recommend viewing the choice from this perspective – Is it better to pay a smaller amount every month for a product that may complicate the running of your business and potentially disadvantage it against competitors, or it preferable to spend a little more for a POS that will increase your company’s efficiency and make it capable generating more in the long run? We think the choice is simple and clear. While Breadcrumb is a good POS that is far from inadequate, Toast provides the competitive edge that separates the professionals from the amateurs, and turns dreams into accomplishments. In the same way that your kitchen would never use inferior ingredients, your management should use nothing shy of a premium POS. Sign up for Toast’s free trial period, and discover what Toast POS can do for your company! 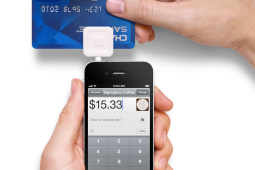 See also our Toast VS Square comparison to get more info on the Best POS Systems features.